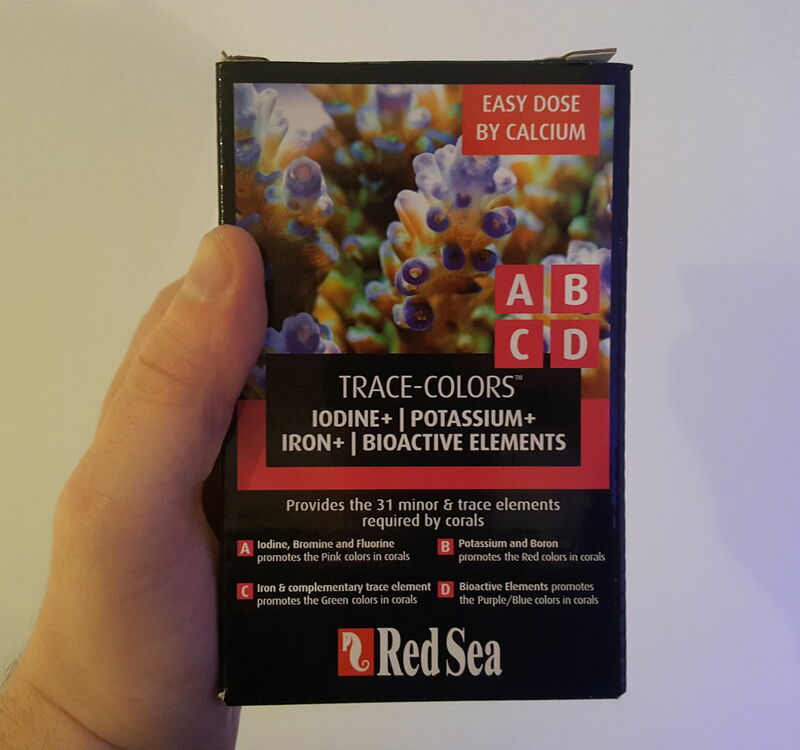 Today my trace elements came in so it's my first dose of Red Sea Coral Colors. 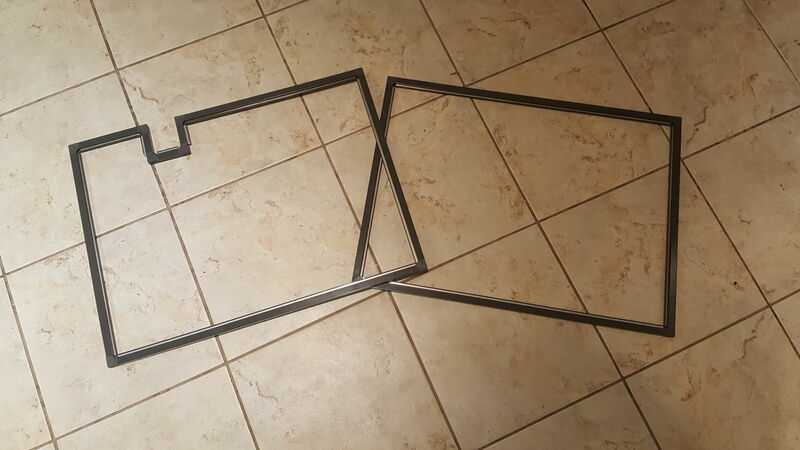 Created a screen lid for my tank. Framing from Rona. Cut some notches for powerhead wiring. Added clear 1/4" mesh I found online. 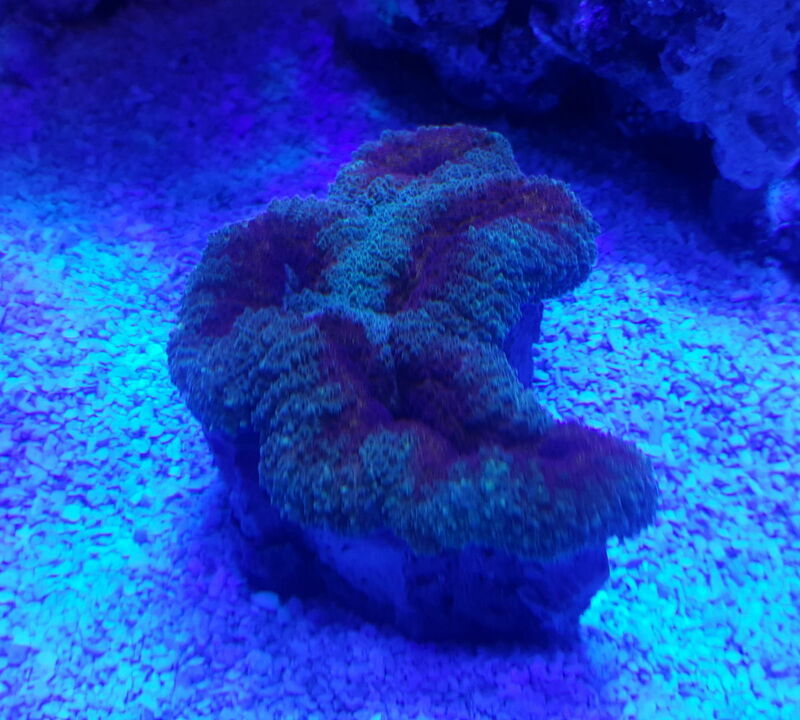 And finally on the tank! 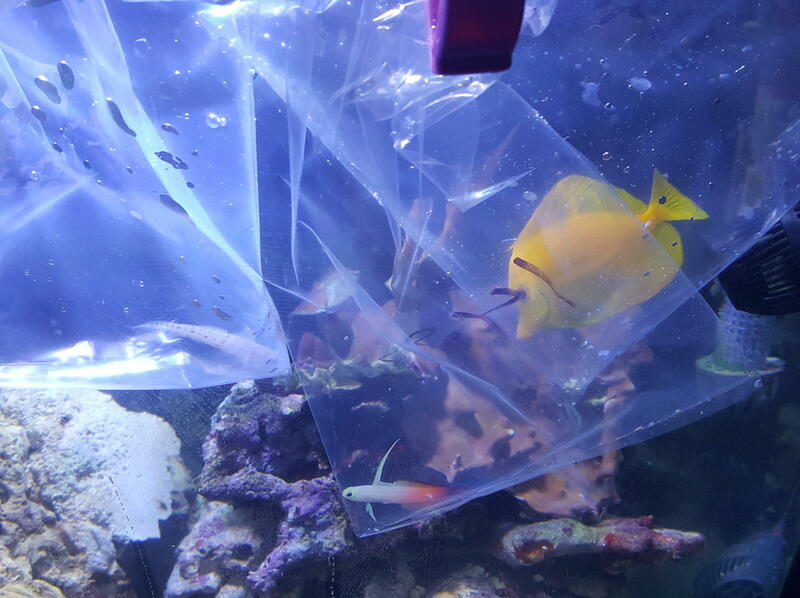 Fish done their 6 week quarantine! They are the DT! 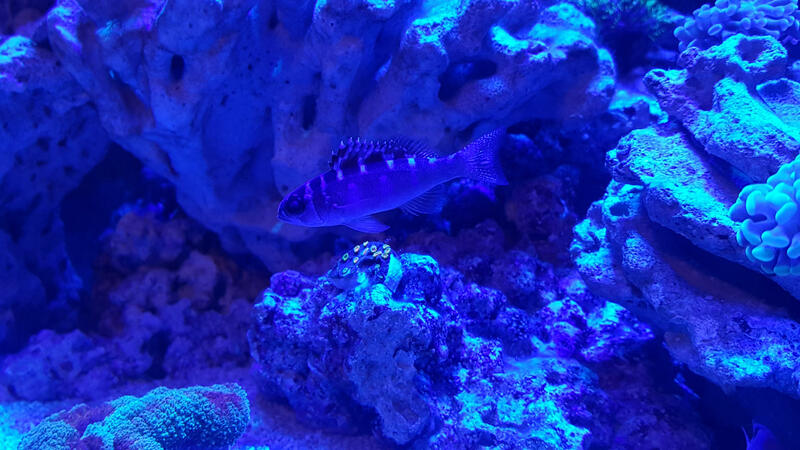 Also added a Bezerko Cyphastrea you can see with the Chalk Bass. And now the 2nd batch of fish are starting their 6 week quarantine. Good luck little fellas! Did you find the 2 way corners (for want of a better word) that you used for the screen at Rona? 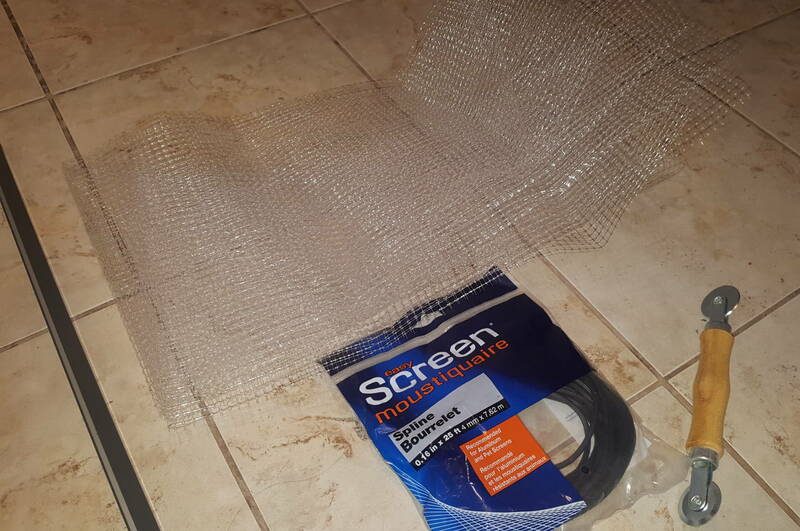 I've only seen them online and want some to manoeuvre screen top around return plumbing. 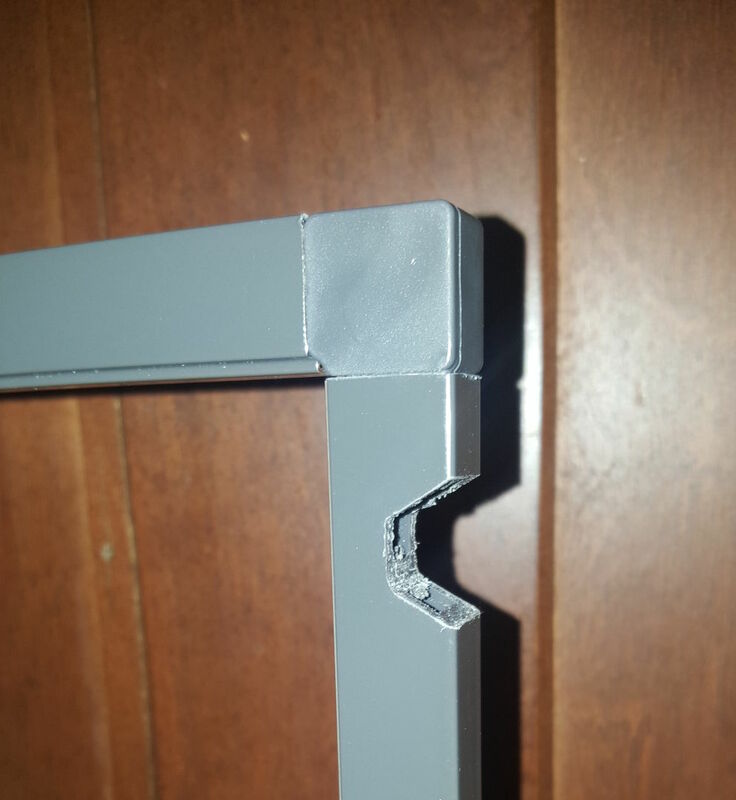 I shaved off a portion of the corner to make it fit the other way. I injected silicon into the frame and pushed in the shaved corner. The silicon fills the missing portion to keep a tight fit. 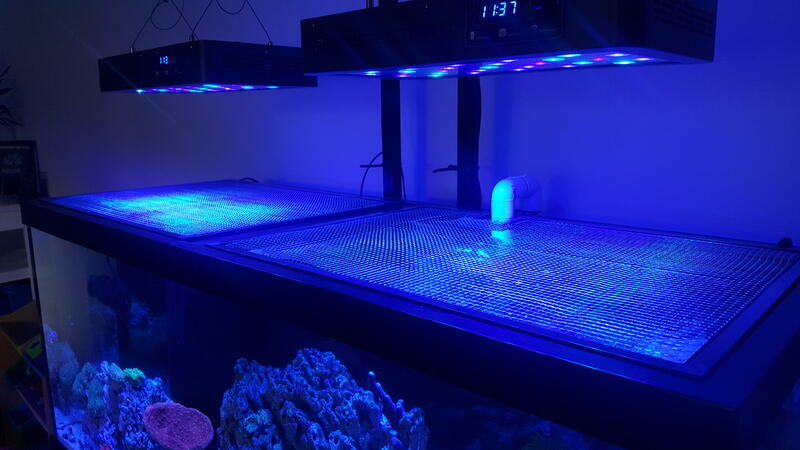 Fish have finished quarantine! 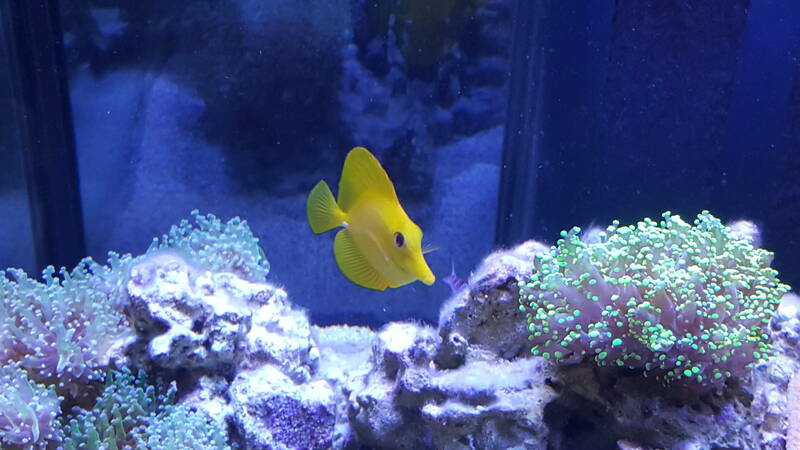 Here's a pic of the Yellow Tang. 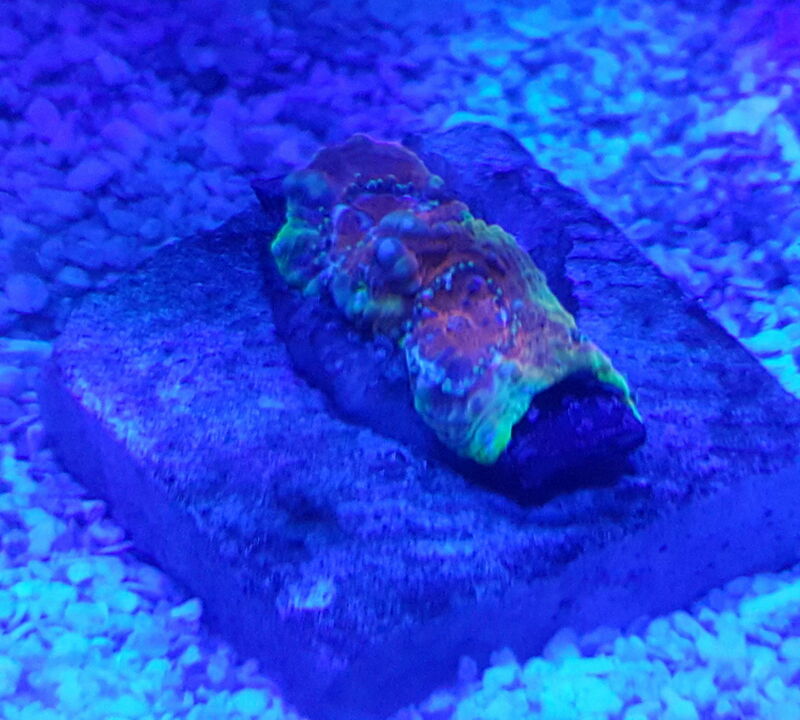 Unfortunately the spotted goby jumped the tank 2 days into quarantine. Had a lid and everything but he managed to get thru a hole near the HOB filter. 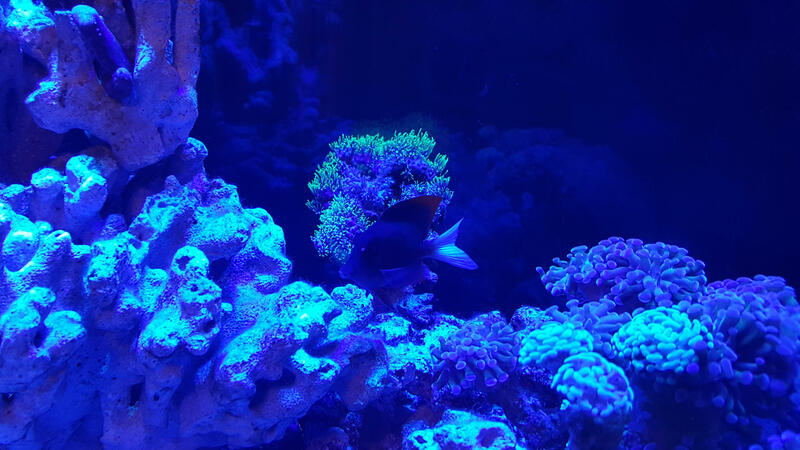 I replaced him with an Engineer Goby. I'll get a pic of him once he's a little less shy.